welcome to the museum of joy: WRiTE CLUB! Fear not, children. No soap is involved. Unfortunately, neither are Brad Pitt's abs. I'm not winning at internet communication this week. I totally failed to put up a WTFSIRF yesterday, I missed most of the #PtBiB drinkalong, and now I'm trying to talk myself out of continuing a nasty exchange of Facebook remarks with a racist jerkface on a friend's wall by posting about something wonderful. To wit, WRiTE CLUB 2012! The brainchild of the splendid & generous DL Hammons, WRiTE CLUB is a super-simple, super-awesome, unusually fun & interactive writing competition for folks who are interested in getting their work out in front of some thoughtful readers and possibly some agents, editors, and ultra-friendly-and-helpful published authors. It's so easy that you have no excuse not to join in. You submit an anonymous 500-word sample, any style, any genre (including poetry, kids! ), self-contained or a selection from a work in progress. Then, staring July 30th, every week for 12 weeks (and possibly twice a week, sez DL, because lots of people are participating!) two submissions will be picked at random and go head to head (hence, you know, the title reference) with people voting for their favorite selection in the comments. Winners advance to a "playoff" round that starts in October. The fear of putting your heart & soul (i.e. writing) out there for others to judge, even if its anonymously. I want you to know...I get it. In one respect it's a little like sitting in a bathroom stall when two of your coworkers walk in, and without realizing you're there, start discussing your wardrobe. And although being anonymous is a tremendous help in easing the stress of being judged, it can't solve the biggest issue of all...that you still know. But here's the thing, if you EVER hope to see your work published in ANY fashion, someday IT and YOU will have to get up on the pedestal and listen to what others have to say. WRiTE CLUB gives people that opportunity, in some small measure, by offering them a chance to dip their toes in the water. the origin of Charlie the Unicorn. Via Wikimedia Commons. Oh. Right. Rats. Excuse me while I go get my Wimp-Out-B-Gone. See? I'm totally submitting. Because goddamit I wrote a novel and I want to start throwing it in the deep end. (The nice thing about books? Unlike babies, you can throw them in the deep end repeatedly. This is why I am leery of people who treat their own books like small, fragile, helicopter-parented children.). It'll be in with works that are radically different from my own, and that's okay; it means I totally have an excuse if it doesn't get voted for. ("Aw, gee, it's not my fault they just like kitten/unicorn slashfic!) It's just, y'know, good practice. Because eventually I am going to try giving my book to an agent, and said agent has no incentive to be nice to me, unlike DL's followers (whose incentive is, I think, simply that they are nice people, which is not to say that agents aren't, but it's sorta their job not to be. I would be polite if I was an agent, but I doubt I would be nice. Then again, I just confessed to calling somebody a racist on the internet, so maybe I should just stay away from, um, reading what other people write? Oh, darn) so I might as well take advantage of this pleasing opportunity. There are a few things I think are especially cool about what DL's doing. I think it's great that there's a voting process that takes place within a community, where the voters are not anonymous and the works are. I appreciate getting to see the works in the contest and the process of voting, instead of it being some invisible secret thing, because, hey, learning experience! I like the element of randomness. I really appreciate that DL stipulates very clearly that, in order to keep the process anonymous, writers are not allowed to solicit votes, which keeps it from being a popularity contest. 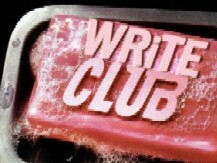 I'm not a big sharer of my work on the internet, but WRiTE CLUB will be an exception for me. I respect the community that DL helped create, and the contest strikes me as being something like a safe and pleasant lake upon which to set my little paper boat adrift. Of course, I might not get chosen for a bout at all - but man, is it good practice to send stuff out into the ether with positive intentions instead of vituperous ones. The internet can so easily become a place where the worst of myself (and other people) emerges; I need more reminders that it can also be a place where the best of myself (and other people) can come out and hold its own. Thanks, DL, for putting a little joy back in the phenomenon of internet commentary. That's a worthy task, and I'm grateful for it - and everyone who participates! It's not too late! You can sign up here. What's a Charlie the Unicorn? 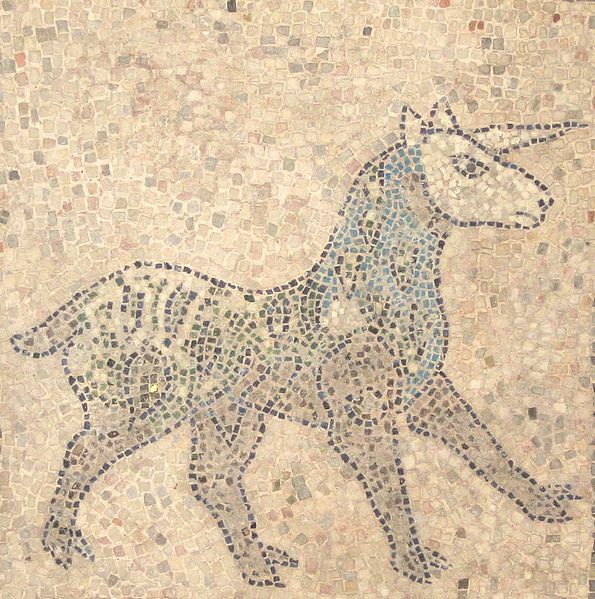 You are not familiar with Charlie the Unicorn? You should click through and discover exactly what you're missing. I can't tell you more than that. You don't need to be a writer to be a reader/voter! You do need to get on the Linky List at the bottom of this post if you want to vote, though.